Year 8 Somerset Hockey level 3 tournament. The year eight hockey team have been an absolute pleasure to work with. They have been complimented on their team work and attitude by staff from other schools. 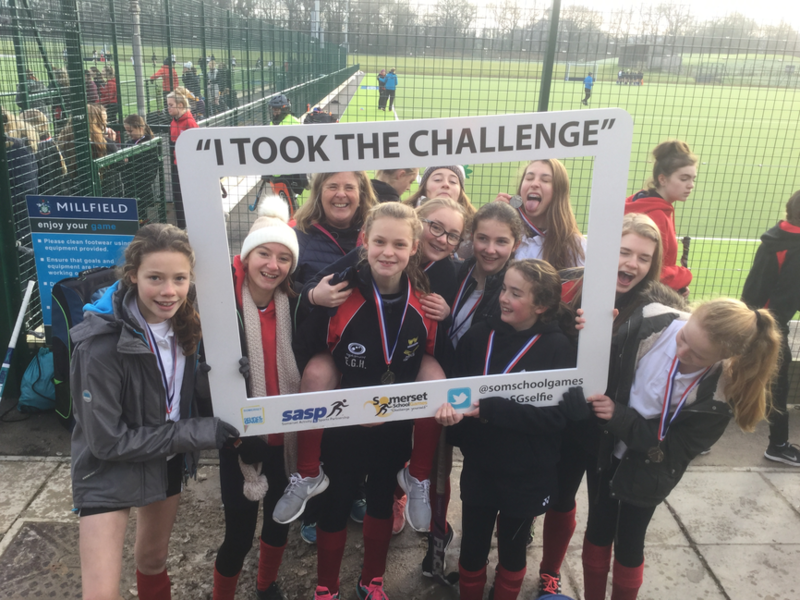 All girls have played with a high level of skill, fitness and determination which lead them a place in the final today held at the Milfield Astro pitches. The first game was against Castle School from Taunton. It was a little difficult with cold conditions but Mia Johnson scored an early goal. The midfield was strong with Rhiannon Kelly and Ella Hodgson showing their expertise and experience . A second goal was scored in the second half which meant that the final score was2-0 to HSMS. A great start. The third and final match was against Chilton Trinity. The girls , suddenly realising this was to be their final game together as Hugh Sexeys came alive. Their aim for each player to score. Scarlett Smith achieved a sneaky goal, Hannah Carter scored two great goals, Mia found her form , Ashling Kelway set the goals up. And just before the final whistle Jessie Haines , who has been the top goal scorer this season , placed a neat goal into the net. Thanks to Evie Jones for her support as assistant coach. Overall the team finished second in the competition. A truly remarkable group of young ladies. It has been my privilege to teach and work alongside them. I sincerely hope they will continue to thrive in hockey.